Step into the Apparthotel Garni Nevada and enjoy homely and quiet apartments in the middle of the Swiss mountain village of Samnaun. Our house is located in the Engadin, in Samnaun village and directly at the ski slope, which is passable until the end of the season. Thanks to the wonderfully central location of our Apparthotel and the partnership to the ZEGG Hotels Chasa Montana Hotel & Spa and Silvretta Hotel & Spa, you will be able to enjoy incredibly inexpensive holidays with top services all around. Top Value for Money: the Nevada offers you many options for a surprisingly fair price. Spacious, beautiful, bright and comfortably equipped rooms with kitchenette. Perfect for families who need a lot of space and who pay attention to the budget. It is possible to make two rooms together to form a large apartment. Stunning views of the surrounding Samnaun mountains. Great location - quiet and yet in the center - in winter the ski run leads directly to the hotel. 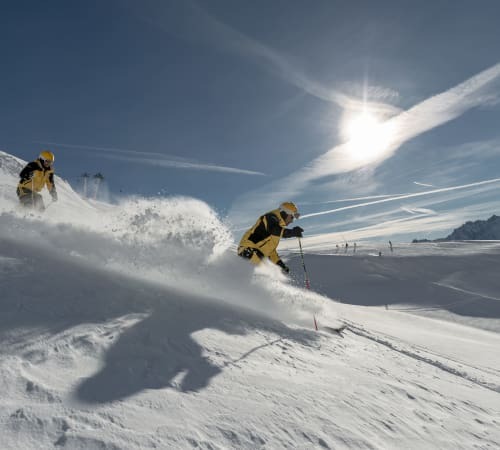 Active holiday of the finest: in winter 238km of ski slopes in the Silvretta Arena Samnaun-Ischgl; in summer, free cable cars and starting point for over 200km of hiking trails and 80km bike routes. Rich breakfast buffet with many regional products and a wonderful panoramic sun terrace. Would you rather cook yourself in the equipped kitchen or let us pamper you? Both is possible! Book only the room or with breakfast. The ZEGG restaurants are accessible without leaving the house with comfortable underground connection. Duty free shop in the house with food department, perfume, spirits, cigarettes and textiles as well as numerous duty free ZEGG shops nearby - great shopping experiences with additional 5% VIP discount in all ZEGG shops - great brands at great prices! Spacious, recently renovated SPA facility, as well as Roman indoor swimming pool easily accessible underground. You can reach EVERYTHING in the shortest possible time - the SPA areas of the partner hotels thanks to underground passage, the sun terrace of the Silvretta Hotel next door, the Samnaun shopping mile or the ZEGG restaurants for an evening dinner. Book our apartment as a simple "apartment" WITHOUT additional hotel service or as a generous room WITH hotel service - just as you wish. In our apartments you will feel comfortable. They are comfortable and functionally furnished and offer a lot of living space - ideal for relaxed holidays. All 30 apartments are equipped with kitchenette, bath / WC, balcony, radio and TV. From the entire Nevada you can enjoy a wonderful view of the surrounding mountains and nature. The Apparthotel Nevada is connected by an underground corridor with the two partner hotels Silvretta Hotel & Spa and Chasa Montana Hotel & Spa. As a result, our Nevada guests will be able to enjoy the wellness area of the Chalet Silvretta Hotel & Spa in the winter of 2018/19. Stay in cozy apartments and relax in top wellness arenas - a great deal! Leisure - discover the Silvretta Area Samnaun/Ischgl! In the summer, dive into the wonderful mountains of the Samnaun Valley! Let yourself be enchanted by the beauty of nature that makes our region special. In the summer, 250km of hiking trails and theme trails as well as 80km of mountain bike routes lead through unique natural landscapes, to flowering alpine pastures, quiet mountain lakes and peaks with a wide panorama. Thanks to the "All Inclusive" offer during the summer, you and your whole family use the mountain railways as well as many other services with the Samnauner guest card free of charge. Samnaun & Ischgl (A) form the Silvretta Arena, the largest connected ski resort in the Eastern Alps. 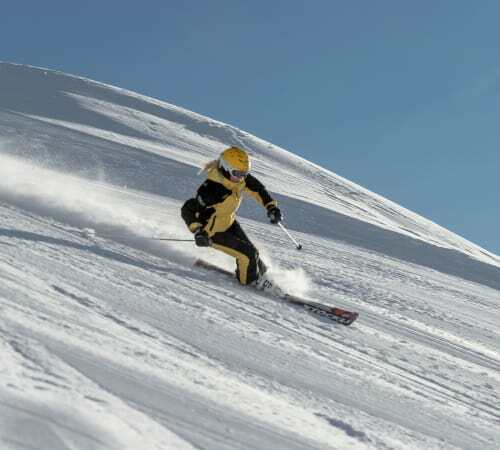 In winter there is a superlative ski resort with 250km of slopes and 44 top modern transport facilities. The international ski arena, embedded in the Silvretta group, lies between 1'400 and 2'900 meters high and is one of the most snow-sure ski resorts in Europe. Our guests benefit from comprehensive services: instead of carrying the sports equipment from home, the latest equipment of the latest generation can be borrowed from the ZEGG Sport & Mode Shop. With the advantage that you can try out different sports and equipment at low cost. Children feel especially comfortable with us, because they love holidays in the mountains! In the winter, have fun with our snow sports instructors of the Swiss snow sports school Samnaun and with the mascot penguin BOBO who teaches them playful and with lots of fun skiing. 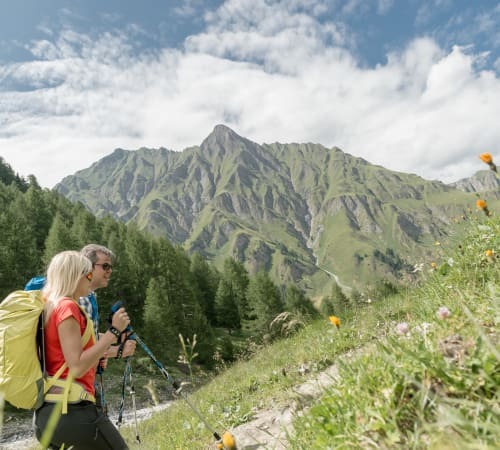 In the summer there is a lot to discover on the walks in the valley and in the Silvretta Arena, on the barbecue and playgrounds or the 1.7 km long fairy tale trail with 10 interactive adventure stations with sound texts, animal figures, play equipment and puzzles which lies directly behind Samnaun village. For the children of the ZEGG Hotels (Nevada - by booking room incl. breakfast; Montana and Silvretta) there is a separate room available at the partner hotel Chasa Montana Hotel & Spa, where our little guests with their caregiver Christina have lots of fun. Tip: take a plastic cup and try to fish with your children the tadpoles in the small pond on Alp Trida right next to the trail. But leave this free again before you move on. At these toll-free prices makes shopping really fun! As the only freezing area in Switzerland, Samnaun offers considerable price advantages. Up to 30% can be saved when buying watches, jewelery, cosmetics, perfumes, tobacco, spirits, fashion, accessories, glasses, sportswear and sports equipment. As a guest of the ZEGG Hotels, you also receive a 5% discount in the ZEGG shops with the ZEGG VIP Guest Card. Our stores offer a comprehensive range of the best brands and competent advice. You will not only find something suitable for you but also for your loved ones at home!